FRANKFURT, Germany (AP) — Carmakers are hoping to give consumers a glimpse of the future at this year’s Geneva auto show as they roll out new electric cars and try to re-energize an industry facing serious challenges on several fronts. The Geneva International Motor Show is taking place against a background of slowing sales in China, the world’s biggest auto market. A potentially chaotic departure by Britain from the European Union and the U.S.-China trade dispute could mean further trouble. And add to those the looming disruption from new technologies such as autonomous driving and smartphone-based services that offer use of a car without ownership, as well as regulatory pressure to add more zero-emissions vehicles. In both cases, automakers are sinking billions in investment into areas that don’t yet bring them big sales volumes and profits. The show opens to journalists on Tuesday and Wednesday and to the public from Thursday through March 17. Here’s a look at the major themes of the show. Although scarce on the road today, battery-driven cars headed for the market in the months and years ahead will be much in evidence at the show. One reason: Tough new limits on emissions of carbon dioxide, the main greenhouse gas blamed for global warming, take effect in the European Union from 2021, and get even tougher in 2025 and 2030. Carmakers originally bet on diesels, which are more efficient than gasoline engines, to help them cut average emissions. But diesel sales plummeted in the wake of Volkswagen’s 2015 scandal over cars with software that let them cheat on emissions tests. Analysts say more electric sales will have to fill the gap. Yet that raises its own questions, not least consumer reluctance to buy electrics because of higher prices and concerns about the limited range and lack of places to charge them. Honda will be showing a compact electric vehicle prototype while Volvo Car Group’s Polestar brand will show off the Polestar 2, a battery-driven compact vehicle that advertises 500 kilometers of range under the European range test (275 miles under the different U.S. standard) and is intended to compete with the Tesla Model 3. Audi will present its A6, A7, A8 and Q5 vehicles in hybrid versions, which combine battery and internal combustion propulsion. Daimler’s Mercedes-Benz has the concept EQV, a battery-powered van. Troubles in the global economy are hanging over the show, not least uncertainty about the outcome of U.S.-China trade talks. Without a deal, U.S. President Donald Trump could add new import taxes that could slow the Chinese economy and global trade. Trump has also threatened to impose import duties on autos that could hit European producers hard. Britain could wind up leaving the EU on March 29 without a negotiated deal to smooth the transition, leading to sudden tariffs that could disrupt the auto industries’ complex supply chains. Ferdinand Dudenhoeffer, director of the Center for Automotive Research at the University of Duisburg-Essen, says that Britain is only 2.8 percent of global sales, meaning “exaggerated fears on the demand side are not so realistic.” For carmakers with production located in Britain, however — such as Jaguar Land Rover, BMW, Ford, Nissan and PSA Group — Brexit could make things significantly more difficult. Honda has said it will close a plant in England, although the company says Brexit isn’t the reason. Global auto sales fell to 83.7 million last year from 84.8 million in 2017. Dudenhoeffer’s center foresees a further slide to 81.9 million this year. While displaying the electric cars coming to market in coming months and years, automakers are also offering plenty of what consumers buy most now: less climate-friendly SUVs and the small cars that remain a mainstay in Europe. Sport utility vehicles sell well and can earn strong profits for manufacturers. Volkswagen Group’s Skoda will show off the Kamiq crossover SUV with 95, 115 and 150 horsepower gasoline engines as well as a four-cylinder diesel version. Mercedes-Benz has an updated version of the GLC, an SUV loaded with driver assistance systems. Automakers haven’t forgotten small gasoline-powered cars, which remain a bread and butter sales category in Europe’s crowded cities. 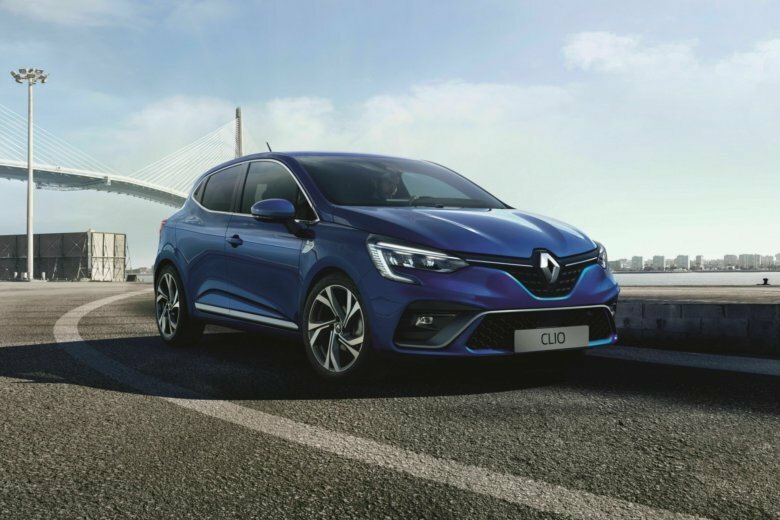 Renault has a new version of its Clio compact, and Peugeot offers a second-generation version of its 208. Geneva tends to be a place for high-end automakers such as McLaren, Ferrari, Lamborghini and Aston Martin to show off gorgeous rides with prices starting at hundreds of thousands of dollars. This year is no exception: Volkswagen Group’s Lamborghini displays the convertible Huracan EVO Spyder, a sleek, low-slung machine that goes from 0-100 kph (0-62 mph) in 3.1 seconds and reaches a top speed of 325 kph (202 mph). Suggested retail prices start at 202,437 euros in Europe and $287,400 in the U.S., not including tax.